Harringtons have created these tasty meals to delight your dog and provide a healthy diet. 100% natural healthy ingredients with added vitamins and minerals. Green Lipped Mussel Rich source of omega fats, glucosamine and chondroitin Green Tea Rich in health promoting natural antioxidants Rosehips Rich in vitamin C which is known to support a healthy immune system Chicory Extract Prebiotic known to promote digestive health Dried Tomato A natural source of the antioxidant lycopene Kelp A natural source of minerals and trace elements Botanical Herbs Including parsley, basil and rosemary Grain free* *This product is formulated without grain, but is processed on a line handling grain. 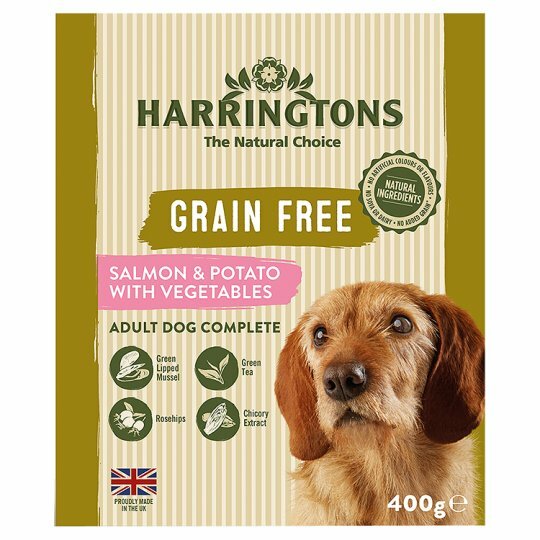 There are currently no questions for Harringtons Dog Grain Free - be the first to ask one!